How Much Does it Cost to Become a U.S. Citizen? If you want to become an American citizen, then you have to go through a naturalization process. 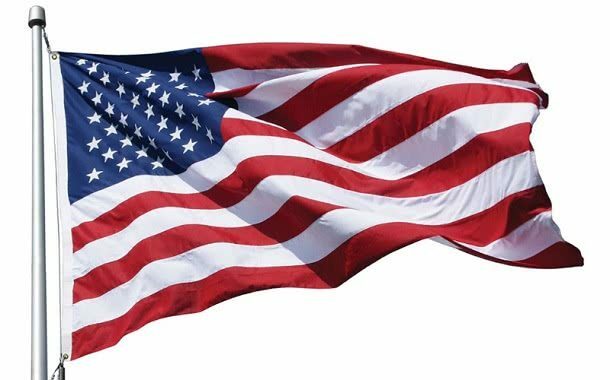 This whole path to becoming an American citizen can be divided into five simple steps: After you submit the application, get your fingerprints taken, attend the interview and take the tests, all you have to do is take the oath and you will officially be a US citizen. You can’t apply for citizenship if you don’t have a stable residence in the US for at least 3 years. The only cost you should expect to become an American citizen is the one offered by the INS, which means that there shouldn’t be any price difference, except for the costs involved in applying for citizenship. How much will it cost to become an American citizen? It will cost around $725 just for the filing fee for Norm N-400, when applying to become an American citizen. Included in this fee will be the filing price and the background check (biometric service fee) along with the fingerprinting process. If you need the official application form, head over to the USCIS. If you choose the safe way and get yourself an immigration lawyer, be prepared to spend between $5,000 and $10,000, or even more. If you have a straightforward case and don’t expect any problems to occur, then you shouldn’t consider getting yourself a lawyer because you usually won’t need one. If you choose not to have a lawyer to help you, then you can get a head start by using online do-it-yourself kids to help you avoid common issues that can get you rejected. AN attorney can be very helpful in the approval process, but getting one can get pretty pricey. Depending on their fees, be prepared to pay anywhere from $900 to $10,000 or even more if you have a more complex case. The first important aspect is that you already have a green card. There are very few exceptions that would allow you to be approved for citizenship without a green card in hand. Along with a green card, you should also have a good moral character, take and pass a basic U.S. History and English test and spend a certain amount of time in the United States prior to applying for citizenship. 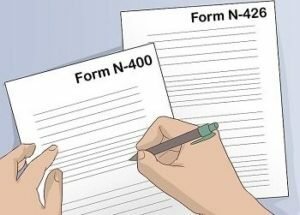 Once you’re sure you’re eligible, you should file the N-400 form that you can download from the official USCIS website we linked to just above. When you submit this form, you will have to pay the initial fee and send a copy of your green card. As soon as you get accepted, be prepared to receive an email with the date of your fingerprinting session. You can get fingerprinted at a local office and your fingerprints will run through the FBI databases, to make sure you have a clean background. If you had any law related problems and had your fingerprints already taken, then you should be honest about it. After your fingerprints come back clean, you will be invited to attend an interview for citizenship approval with an USCIS officer. The interview usually involves going through your N-400 application once again and confirm the answers you already gave, so if you were honest, this process should be a simple one. This is also the time you’ll be required to take a U.S. History and English test, so make sure you’re prepared. As a final step, if everything else went according to plan, you will have to attend an oath ceremony, you everyone else that has been approved will be declared United States citizens. During this ceremony, you will have to swear your loyalty to the United States of America and receive your certificate of naturalization, making you an official U.S citizen. Should you expect any extra costs? If you have any criminal background, then you might be seen as not displaying a good moral character, which means that you should get an immigration lawyer, even if you think that you can pass all of the other steps. The lawyer will be able to help speed up the process and get you approved, especially if all you have are a few petty crimes on your record. If you’re older than 75, then you can refuse to take the biometrics test, because it won’t be a must. Wondering how long will it take to become a United States citizen? The U.S. Citizenship and Immigration Services say that the time can vary greatly, depending on each person’s circumstances. After you fill out the initial form, it can take up to six months or more, according to the USCIS official website, before you get an answer. Remember that you have to live in the United States for quite a while before you are even eligible to apply. The easiest way to save money while applying for U.S. citizenship is to make sure you are approved from your first try. You can do this by seeking help from legal attorneys that know all the tricks to get a higher approval rate. Even though an attorney will cost more up front, it will be well worth it to avoid spending again and again with each new application. You can use a credit card to pay the application fees, if you don’t have cash, because the U.S. Citizenship and Immigration Services accept this payment method nowadays, but if you choose to do this, you will have to submit another form, the G-1450 Form. While doing our research, we stumbled upon a very interesting aspect: It is a lot cheaper to apply for citizenship than to renew your green card again and again. The average 30 year-old permanent resident can end up paying close to $50,000 over the span of a lifetime to renew their green card again and again, if you factor in all the fees. The USCIS has a fee waiver process for people that qualify for citizenship but can’t afford the initial filing fee. For example, if the head of a household is receiving government benefits, they might qualify to fee waiver. https://www.thepricer.org/wp-content/uploads/2018/11/us-citizenship-cost.jpg 380 610 qSign http://www.thepricer.org/wp-content/uploads/2016/11/pricerlogonew.png qSign2018-11-12 17:09:142018-11-12 17:09:14How Much Does it Cost to Become a U.S. Citizen? How Much Does Billboard Advertising Cost? How Much Does Testogen Cost?